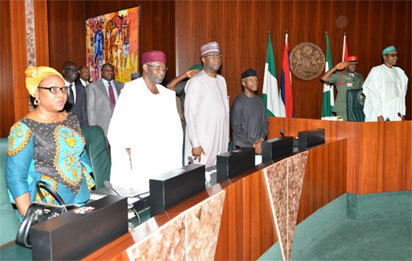 The Federal Executive Council (FEC) has approved an additional N122.2million for the completion of Mangu Dam in Plateau. The Minister of Water Resources, Suleiman Adamu disclosed this when he addressed State House correspondents at the end of the Council’s meeting which was presided over Muhammadu Buhari, the President of Nigeria at the Presidential Villa, Abuja. “The project has attained 85 percent completion. Thanks to the effort of the contractors who have continued to work at some points without payment. The Minister of Transportation, Rotimi Amaechi, who also addressed the correspondents on the outcome of the meeting, said he presented two memos to the Council for approval.